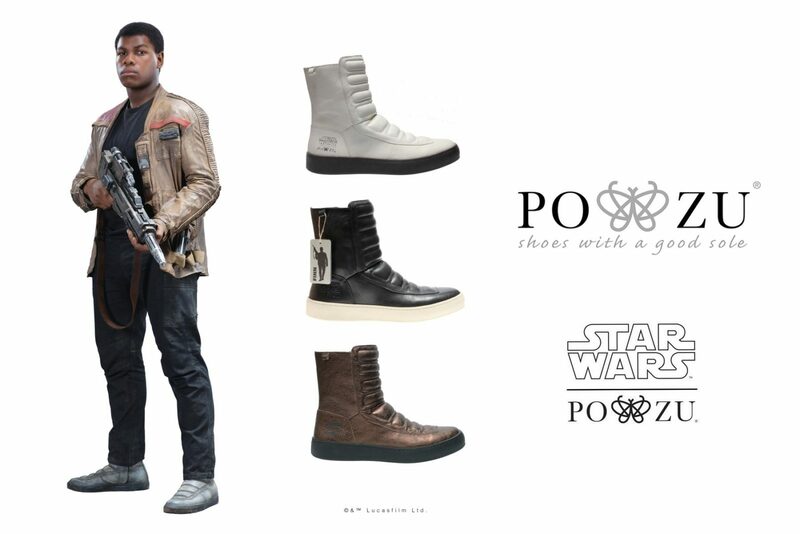 New Po-Zu x Star Wars Finn boot preview! 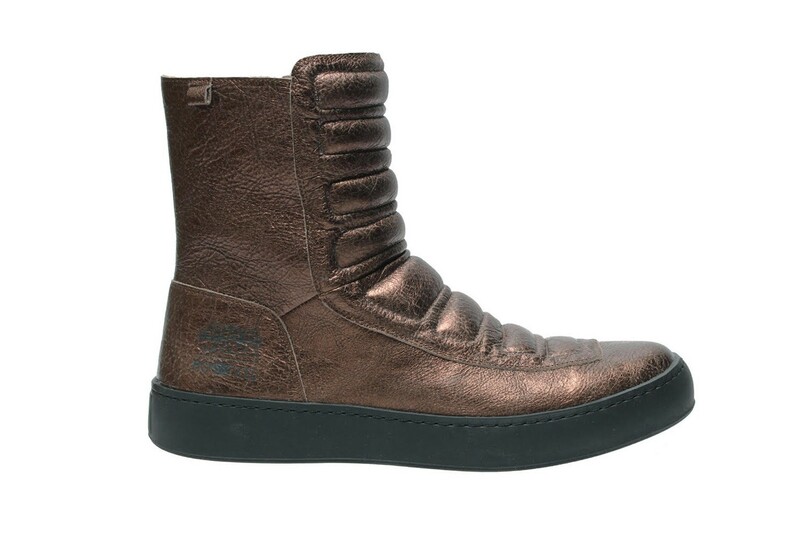 Po-Zu have released a fourth new preview of their upcoming Star Wars footwear collection – the Finn boot! 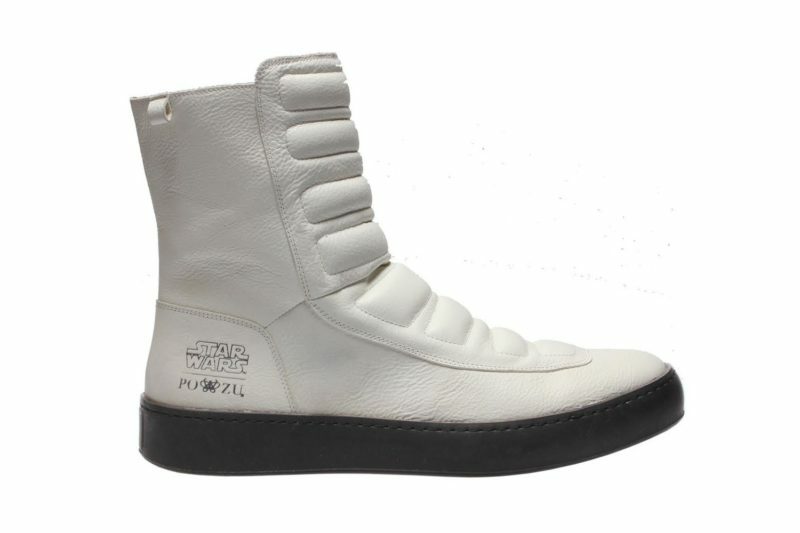 Inspired by the Stormtrooper boots FN-2187 wears in The Force Awakens, which appear to be made from leather. I notice that the press release doesn’t mention if these will be available in women’s, men’s or children’s sizes – all of the previously revealed styles will be available in women’s sizes, so I really hope these Finn boots will be too. 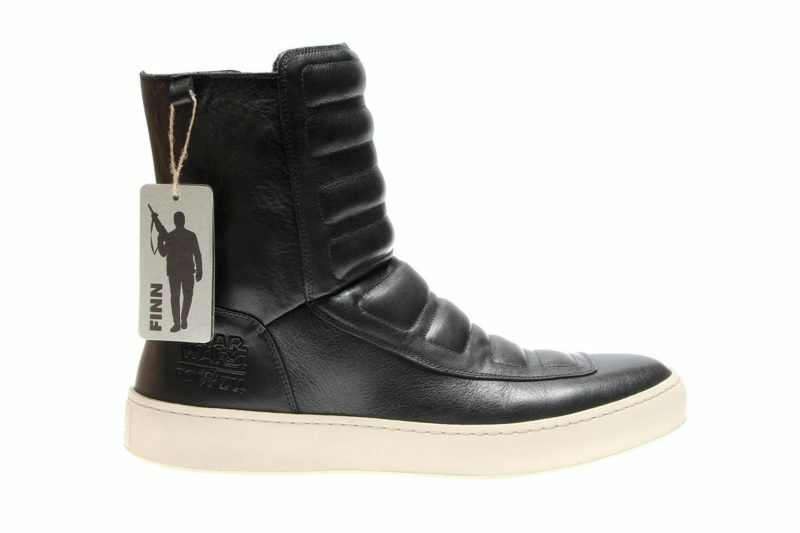 These Finn boots will be released in August later this year, along with the Rey boots, Resistance sneakers, and Chewie boots previewed earlier. I can’t wait to see the full collection revealed! Po-Zu’s slogan is ‘Shoes with a good sole’ – the company is ranked #1 for ethical shoes by The Good Shopping Guide, so not only are they comfortable to wear, you can feel good about wearing them too. Inspired by Finn’s boots, as featured in Star Wars:™ The Force Awakens. 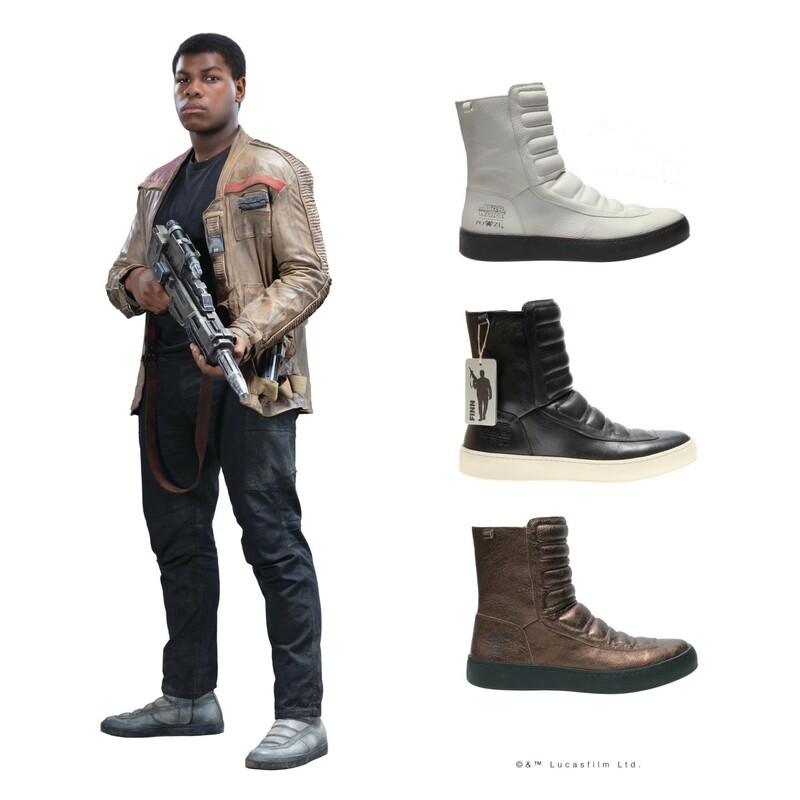 The Finn Boot will be available for sale to the general public from August 2017 in both featured versions: In White (as worn by Stormtrooper FN-2187), in Distressed Metallic Bronze Leather (as worn by Finn), as well as in Classic Black. I love it when companies give fans options, so it is great to see the Finn boot available in 3 colour choices. While I often go for classic black shoes, the white versions have a fantastic Stormtrooper look, and that metallic bronze is gorgeous! I can’t pick a favourite! Core features include protective padding, a concealed inside zip, a removable memory-foam Foot-Mattress™ (allows orthotics placement) in latex and cork, and a high performance grip natural rubber cup sole. Finn (previously known as FN-2187) was trained from birth to serve the First Order as a Stormtrooper, however a skirmish on Jakku awakened his conscience and drove him down a different path, one that proved both heroic and dangerous. Finn helped Poe Dameron escape the First Order – and then sought his own freedom alongside Rey and BB-8 (more on BB-8 later). Is this hinting at an upcoming BB-8 inspired shoe design? I hope so!